The Library will be a national leader in redefining the urban public library in the 21st century as an innovative and stimulating place where people can learn and discover, explore their passions, and find a rich array of resources that contribute to a full life. Democratizing access to information and opportunity. We serve the people of City of Hartford, our principal funders and customers. We are in and of the community…a place like no other. We are a gateway for immigrants and refugees…an early literacy center for preschoolers…a wifi hot spot and business office for area workers…an exhibit space for artists…a technology resource for residents and visitors…a lender of books and other educational and entertaining materials… a training center for the development of new skills…the repository of Hartford’s history…a gathering place for people to relax, explore, learn, and grow. 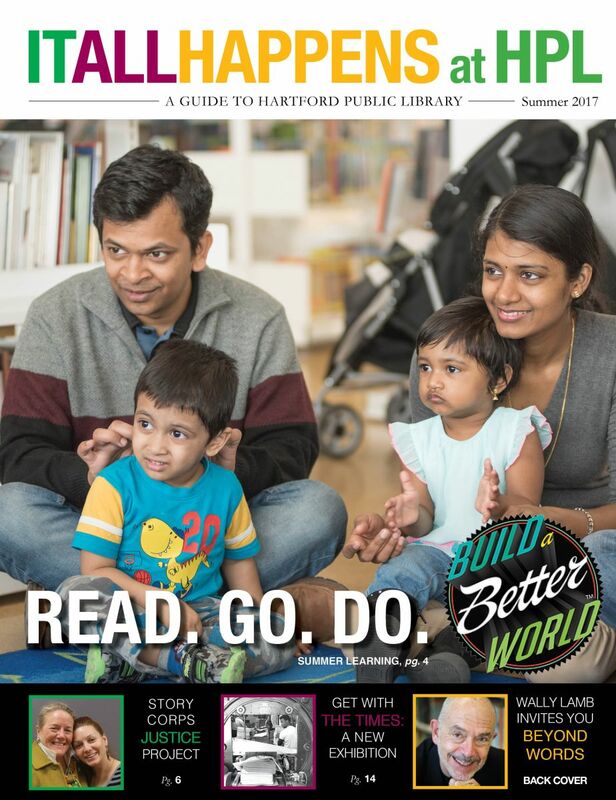 At Hartford Public Library, you will discover a place like no other. Through its mix of enriching resources, you can find a place that provides the spark for your conversation, the power for your passion, the courage for your soul and the food for your mind. It is more than just pages. It is the window to knowledge and understanding of the world.